The Heathman Hotel in Kirkland has an understated elegance, with an environment created to soothe and relax our guests. The hotel is designed with a contemporary twist and modern sensibility of discreet grace. 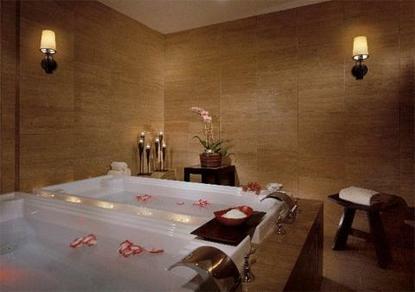 The hotel has 91 luxurious guest rooms and suites along with a 5000 sq feet spa and fitness center. Our restaurant and lounge offer delectable delights sure to please any palette. Our meeting space can accommodate meetings, events and weddings. The guest rooms perfectly echo the casual elegance that reflects the underlying sophisticated nature of Kirkland. Every room at the Heathman is a visual experience with textural mixes of warm background with an injection of contrasts. There is a sense of naturalness reflective of a waterfront community with a juxtaposition of luxurious drama. The Heathman Hotel is located in the heart of Kirklands vibrant water front downtown. Kirkland lies on the Northeastern shores of Lake Washington. Treelined boulevards, a low rise downtown, lanes of boutique shops and restaurants, intriguing outdoor sculptures positioned for public viewing, people engaged in all kinds of recreation give Kirkland a feeling of being on permanent vacation.